If you are searching for a luxury home in a gated community in Colorado, Metro Denver & the Rocky Mountain Foothills offer high class living in safe and secure neighborhoods. Gated communities ensure that access to the neighborhood is restricted to residents and their guests. Unlike an un-gated community, where people can come and go as they please, a gated community is highly secure and exclusive. It is clear that those who live in a gated community care about their neighborhood and the way it looks and feels. Because of this dedication to the community, there are more advantages to a gated neighborhood than just security and safety. Gated communities often offer additional luxurious amenities. , Many of these subdivisions are part of a homeowners association, ensuring property values and standards stay high. There are just as many types of gated residential communities as there are ones without gates, so you are sure to find something that suits your lifestyle and your budget. Neighborhoods with single-family homes are popular with house hunters of all ages and demographics. These separate dwellings are available in various architectural styles and layouts. Priced at every level, they range from simple to luxurious. The luxury single-family homes feature large square footage, impressive lots, and upgraded amenities. Patio homes, condos, and townhomes offer their own benefits. With this type of home, owners may not be responsible for outdoor upkeep, and prices are generally more affordable than with a detached dwelling. Luxury communities have different types of housing available, with top-notch amenities, landscap-ing, and programming. One such luxury is found in gated golf communities, where residents are members of a golf course that is so close, golf is an everyday activity. Guarded gated communities offer the utmost in security and safety, with regular patrols and guard stations along with the usual gates. All of these communities can be found in beautiful Metro Denver & the Rocky Mountain Foothills. Whether you want an in-town home or a mountain getaway, awe-inspiring Colorado is yours to discover. 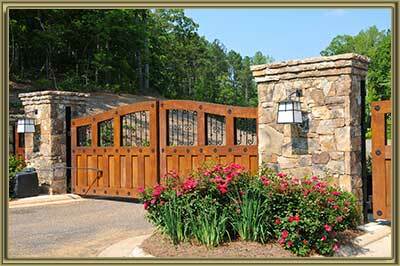 In a gated community, you will experience heightened safety and security. Restricted entry, and se-curity personnel keep unwanted visitors out of the community, along with maintaining records of entry and exit. This also reduces traffic, as only people who are visiting or residing in the community will be driving in the area. Well-maintained, professionally landscaped common areas are a feature of most gated communities, adding to the natural beauty of the Rockies. Exclusive access to these areas, including green spaces and parks, is a major draw for many gated community residents who want to enjoy a quieter, high-quality natural experience. Along with manicured community grounds, residents and guests have access to any clubhouses, pools, fitness rooms, and other amenities that are part of the neighborhood. Most gated communities are part of a homeowners association, ensuring that property standards are maintained and rules and regulations are in place to make your neighborhood the best it can be. HOAs are known to increase community pride, socialization opportunities, and of course, property values. All of these attractive benefits to living in a gated community are yours when you find the perfect home in Denver or the foothills. We are pleased to offer our well-honed real estate skills to make your house hunting endeavors a success! Get in touch with us today to learn more about gated communities in Colorado, and how you can make one of these wonderful neighborhoods your new home.